THE HOLIDAYS ARE HERE!!! That time of the year again. The time for strong hugs with the ones we love and also, sadly, lots and lots of shopping! Christmas is one of the busiest seasons for all stores, which means most of us will spend hundreds or thousands of dollars taking advantage of sales and purchasing products that will potentially end up in landfills in a few months, or might support practices that are devastating for our planet and people. So... how about we choose which stores and brands to support wisely?! How about we buy less crap and more things we will use for years to come? How about we say no to fast fashion products and buy more eco-friendly clothing pieces we can reuse in a dozen different ways? How about we give the gift of consciousness this year?! Giving unique and lovely gifts that will raise an interesting conversation with those we love? How about we use the money we worked so hard for this year to make sure we have a planet to call our home in the future? What do you guys say?! Ready to become an agent of change this Holiday season?! If so, here are a few brands you might want to check out. Eco-friendly, vegan, fair-trade, charity-oriented. Nothing like conscious shopping! I’ve separated them in categories, so you can find whatever you are looking for to gift this year. • Handprinted/ Block-printed: artisans design textiles by hand with different techniques. All stamped by hand (hand-carved wood stamp) and with natural colors. The Onikas: Fair-trade and handprinted clothing with non-toxic colors by artisans in India and Ecuador. Melissa Shoes: Shoes made from recycled plastic reusing 99% of waste, water and unsold stock. THX: Everyday products that suport everyday causes. You choose the nonprofit and the amount whenever you shop a THX product. Symbology: fair-trade and handprinted clothing. Beautiful dresses! Use CODE: WTSXSYMBOLOGY for 10% off. NAJA: fair-trade and sustainable lingerie. Every product you buy helps women rise above poverty. Naja provides fair wages and health care to each artisan. Lume: fair-trade and eco-friendly swim wear supporting different artists and charities. Beyond Skin: vegan and fair-trade shoe brand made with vegetable coating. VEJA: eco-friendly shoe brand with some vegan options. Use CODE: NTVH for discount. Turquise: vegan and charity-oriented shoe brand. Use CODE: NTVH for discount. Cult of Coquette: vegan leather high heels!!!! Matt and Nat: fair-trade and vegan bags made with natural materials and recycled plastic bottle interior lining. Remember Me Green: Bags made from recycled NYC billboards. Up Fuse: Fair-trade and eco-friendly bags made from recycled plastic bags. Use CODE: KINDCHRISTMAS for discount. Angela Roi: beautiful and classic vegan bags in earthy colors. The Fifth Element: handmade and spiritual jewelry. Her mandala rings are my favorite. Simbi: handmade and fairtrade bracelets made from natural clay by artisans in Haiti. Each purchase provides clean water to Haiti. Use CODE: WATERTHRUSKIN for 15% off. 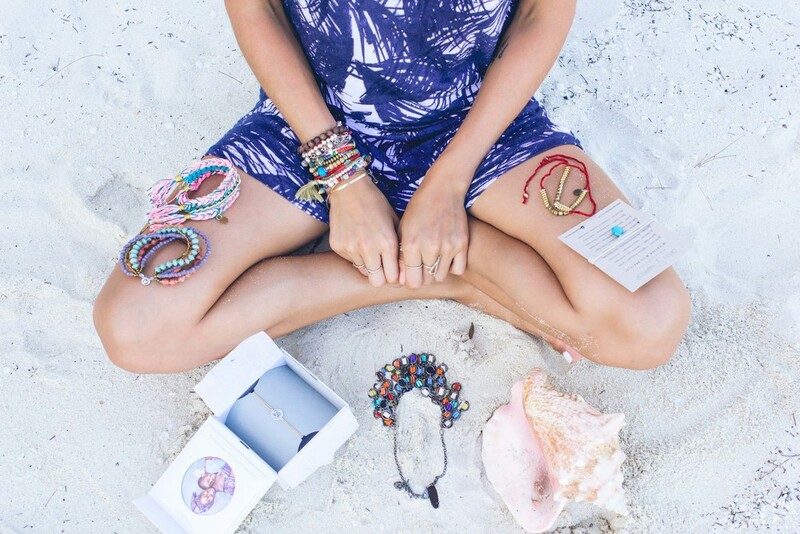 Alex and Ani: jewelry made from recycled materials that benefits different charities. Bite: vegan, cruelty-free, non-toxic and EDIBLE. Yes! Made with natural and fine ingredients! My favorite is the Agave lip mask! Tarte: vegan, cruelty-free, non-toxic makeup. My faves are the lip colors, mascara and cheeky blush. OneLoveOrganics: organic, vegan, cruelty-free, natural spa products and body lotions. My favorite is the Vitamin C Body Oil. 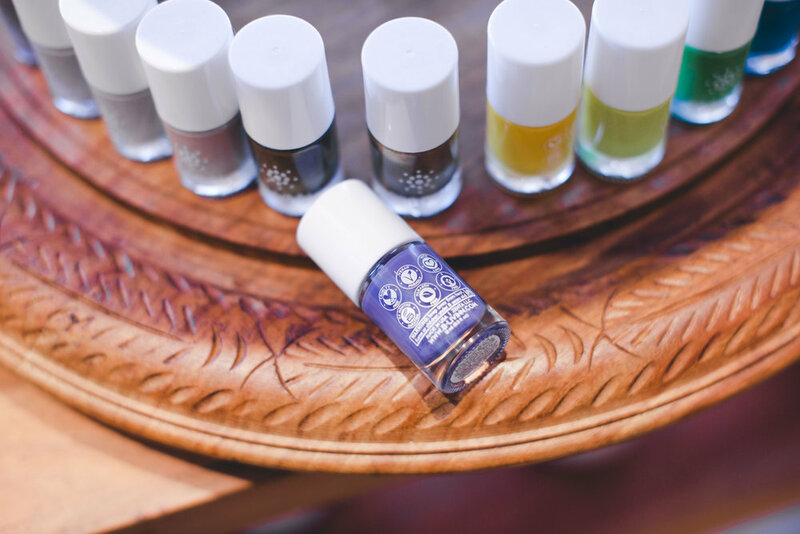 Sparitual: vegan, cruelty-free, non-toxic Nail polishes and spa products. 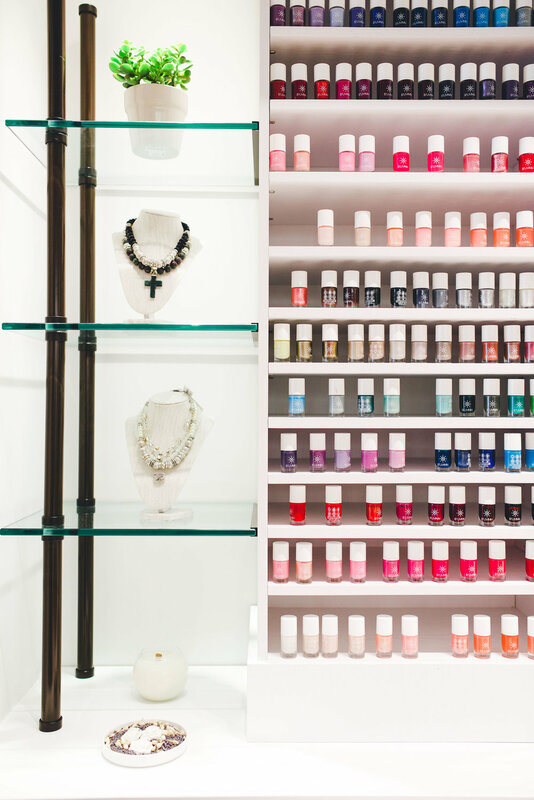 Love their nail polishes! 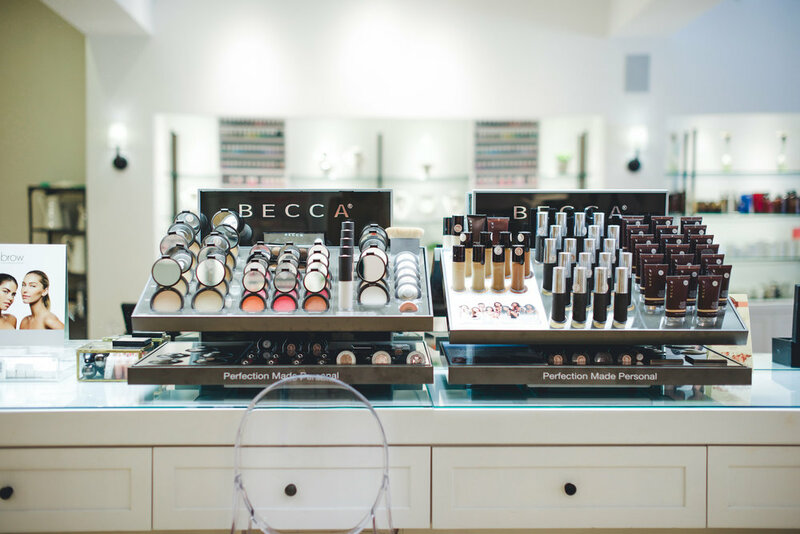 Baiser Beauty: artisanal, vegan, organic, handmade beauty products. My favorite is their anti-aging oil. Wholistic: organic and natural aromatherapy oils with crystals charged by the moon. 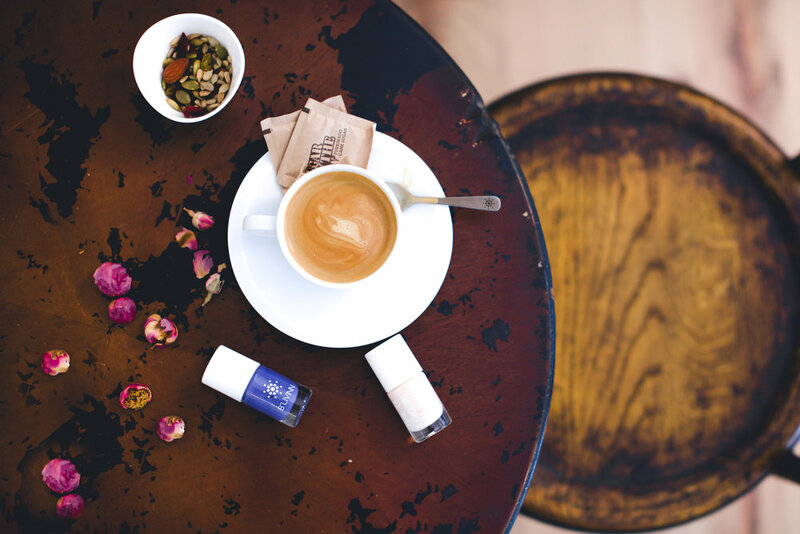 THX Co: perfumes and soy candles made with natural, fair-trade, and sustainable ingredients. THX lets you choose which nonprofit to donate to. 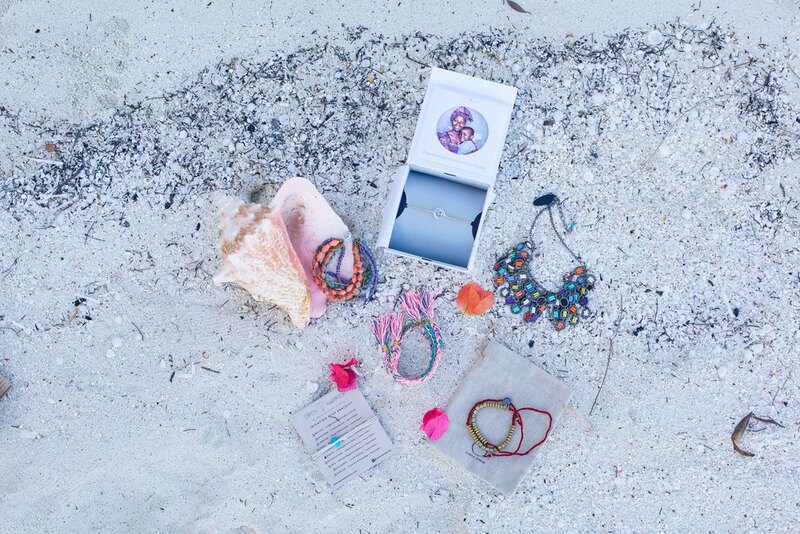 Global Groove Life: fair-trade products made by artisans in Asia. I have their yoga ball. Portdebras: Fair-trade yoga clothing made with natural biodegradable fibers. Waterlust: yoga pants made from recycled plastic bottles and supports different Marine Research nonprofits. I love Gurus: yogi sandals and wear made from natural eco-friendly products. For each purchase, they plant a tree. WTS Kits: vegan, eco-friendly, natural and organic travel kits with everything you need for your trips. WTS Hotels: what about gifting a vacation at an eco-friendly hotel? Get inspired by all the trips I’ve taken. LSTN Headphones: Headphones that give back! With each purchase LSTN provides hearing aid to people in need. To look at last year's WTS holiday gift guide inspiration, click here! I am beyond excited to announce I'll be hosting a retreat in Bali, Indonesia, November 6-13, 2017. 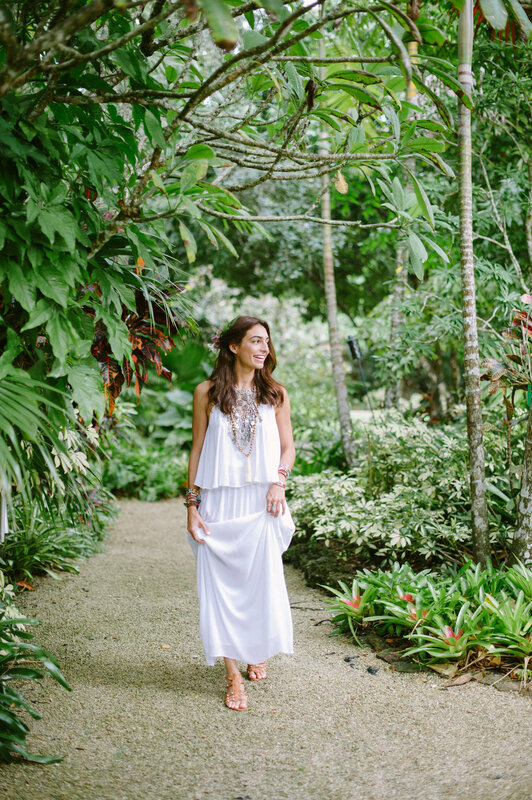 I enjoyed my time in Bali so much, I decided to host this "WTS wellness, adventures and culture" Retreat at the eco-friendly hotel I stayed at in the middle of nature which runs on hydropower generated by the waterfall beneath the villa I called my home for 5 days! 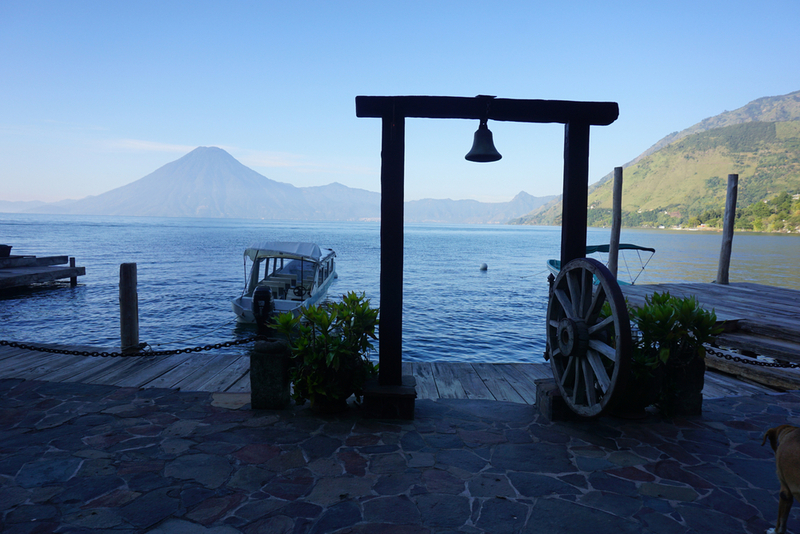 Nature, healthy yummy food, tours, yoga, ceremonies, Balinese workshops like the ones I took, cooking classes and more! The best part...I want to make it really affordable so 15-20 of you can come and we take over Bali Eco Stay! What do you guys say? Are you ready for an out-of-the-ordinary experience?! I know we are talking about dates a year in advance but booking your flights is essential. And the sooner you do it, the cheaper! Can't wait to keep discovering Bali with you guys! -Please arrive at the hotel on the 6th, and email us your flight itinerary for pick up. -CLICK HERE to read my experience at Bali Eco Stay and to see more PHOTOS. No matter where in this beautiful planet of ours you are right now, I’m sure you all have heard or seen the results of hurricane Matthew. This is the third time that a natural disaster hits Haiti in 6 years. (2010 7.0-magnitude earthquake, 2012 Sandy, 2016 Matthew) and they need our help more than ever! Remember I told you on my last Haiti post that I was looking for a non-profit to travel to Haiti with, I found it! Well, they sort of found me or, better yet, we found each other :). I'll be traveling to Haiti in December 20016 to volunteer at an orphanage. I'll be spending there 4 days and taking as many donations as I can, for which you guys get to chip in and help. (I believe in you!!) I'm hosting a fundraiser to gather as many funds as possible to help the nonprofits I'll be working with. One of them will be I am Me. I know a lot of people don't like to donate. I've even heard some complain they are not getting anything in return. (Really?) Therefore, I've decided to make this donation thing a little more personal. Every person that donates $100 will receive a Simbi Haiti bracelet from me. (This way, you'll be helping two charities with one donation!) With each Simbi bracelet sold, Simbi Inc is able to provide funds to purify 1 gallon of water per day in Haiti through Aqua Haiti. Also, all bracelets are handmade by Haiti artisans with clay and natural colors that are kind to your skin and the planet. Simbi Inc has so far supported 250 jobs and purified 20,000,000 gallons of water in Haiti. Every person that donates $500 or more will receive a personalized eco-friendly jean jacket (like the one I posted on IG)!!! This applies to everyone. Ladies and gents! I'll also be traveling to Bali next week to review an eco-friendly hotel and have been thinking of getting cute gifts over there for you guys. How about that?!! Deal?? Then, let's get this fundraiser rolling!!! Brands: Wholistic Face Sprits, Baiser Beauty, Josie Maran, Tarte, Antonym. Get October's beauty box with these and more! 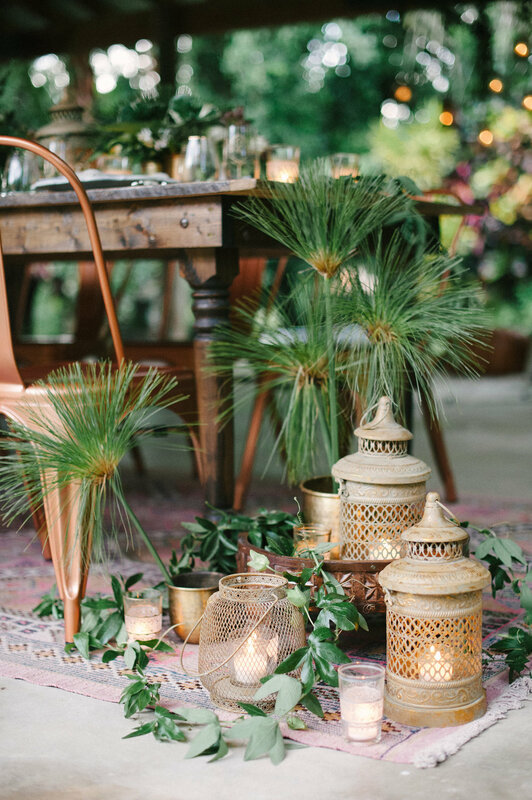 Eco-friendly Bohemian Event? Yes, please! A month ago I had the opportunity to be part of the most beautiful event planning photoshoot I’ve seen in these 28 years of mine. Everything I’ve always envisioned my life- and even home- to look like was turned into a reality by Elizabeth Orange Events. 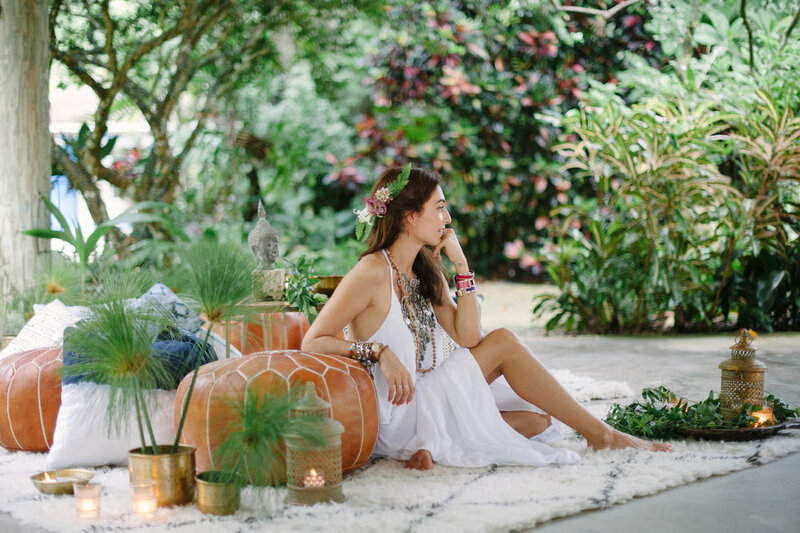 A natural, eco-friendly, bohemian scene taken out of one of my dreams and I, of course, got to dress like a bohemian princess for it. From the second I reached the location, Samsara, I knew I was about to experience something completely out of the box. Tall green trees leading the way, and a lounge area and a dinner-table set inside a bungalow entirely consumed by nature. Everywhere I looked I saw Mother Nature. Flowers, fruit trees, palm trees, a pink sunset, and even a small pond with water running constantly creating the most refreshing melody and atmosphere. 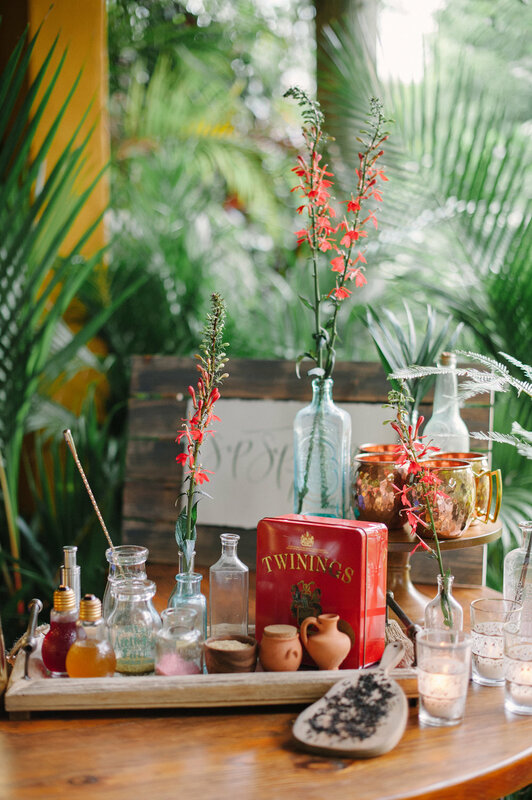 The lounge (decorated by Elizabeth Orange Events, Anthology and Unearthed Vintage) was the perfect combination of welcoming luxury, comfort, and the contagious vibes of a flower child. 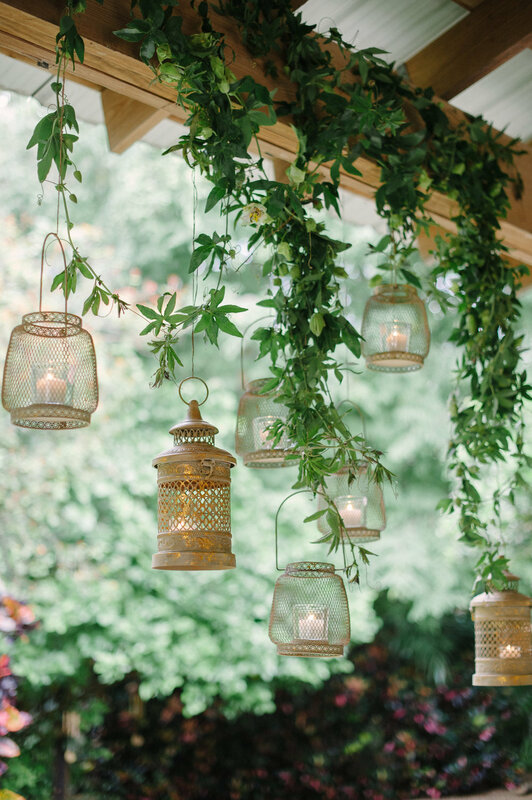 It all revolved on a fluffy carpet covered with colorful pillows, candles and lanterns illuminating every corner, and flower centerpieces by Anthology adding a delicate touch to the entire setting. 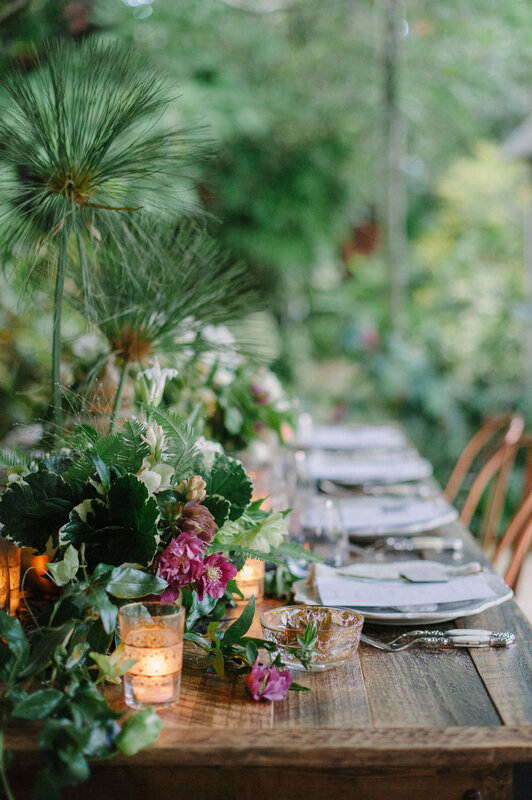 Next to it was also the dinner-table set for eight with gorgeous copper chairs by Unearthed Vintage, names written on Papel & Co eco-friendly paper, Anthology’s blossomed tulips as center pieces, and Moroccan-looking glasses and plates. And don’t even get me started on the artisanal cocktails by Craft Cartel! Ingredients such as rosemary, ginger beer, and hibiscus were key players! 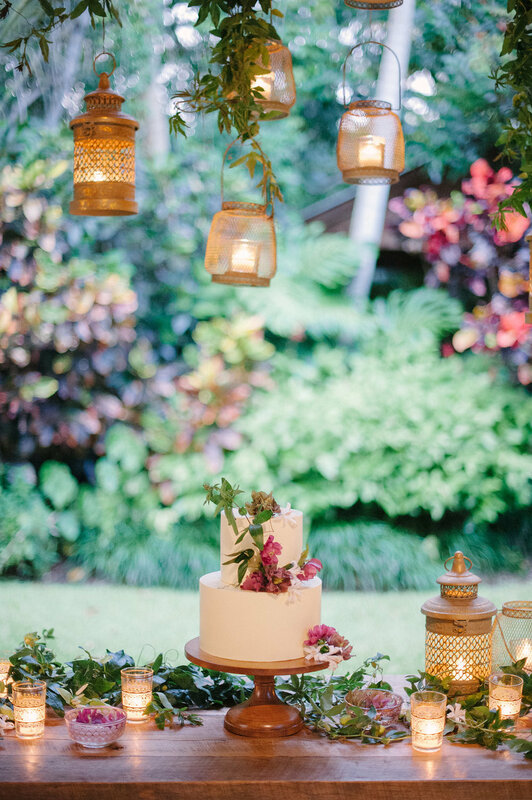 There was also a giveaway table above Samsara’s Bali-looking lily pond with natural and organic mosquito repellents by Baiser Beauty, and a cake by Earth & Sugar. Like I said, moments and a design taken out of a dream! In case you wonder, I wore a fair-trade dress and mala empowering artisans in India by Metta Loving Kindness, vegan leather sandals by ByBlanch, and a bohemian necklace handmade in Bolivia by Yvera. ToGo Smoothies! No cutting, chopping or pealing! I want to share a little secret with all my On-the-go peeps! Now, morning shakes have become easier and faster with Daily Harvest's frozen cups full of mouthwatering ingredients ready to be placed in your blender and go! No chopping, peeling, or cutting. They are vegan, 98% organic, unrefined, paleo and full of superfoods and natural ingredients. In case you're wondering how this works, Daily Harvest offers 12 different flavors you get to choose from and ships out your frozen cups right to your doorstep. Then, all you have to do is open your cup, add water or nut milk to it (all the way to the top), pour all ingredients in your blender, and blend at full speed. That's it! The cups are made from paper and come with a lid for you to take them everywhere. The lid even has a hole for your straw. PLEASE use paper or bamboo straws. We all know the devastating effects of plastic straws on our oceans, animals and mother nature. Another secret worth sharing? ....Use code "waterthruskin" and get 3 free smoothies from your first order!! Happy Tuesday! I'll be a speaker at SEED Summit! Come see me! Good morning, world!! We are starting this week with some exciting news! It turns out, I'll be one of the guest speakers at this year's SEED Food & Wine Summit! In case you haven't heard of SEED, it's pretty much the best plantbased food and wine festival in the country! Yes! A 6-day event where passionate people committed to our planet get together to elevate the conversation about sustainability, plantbased food, conscious living, and the welfare of animals. 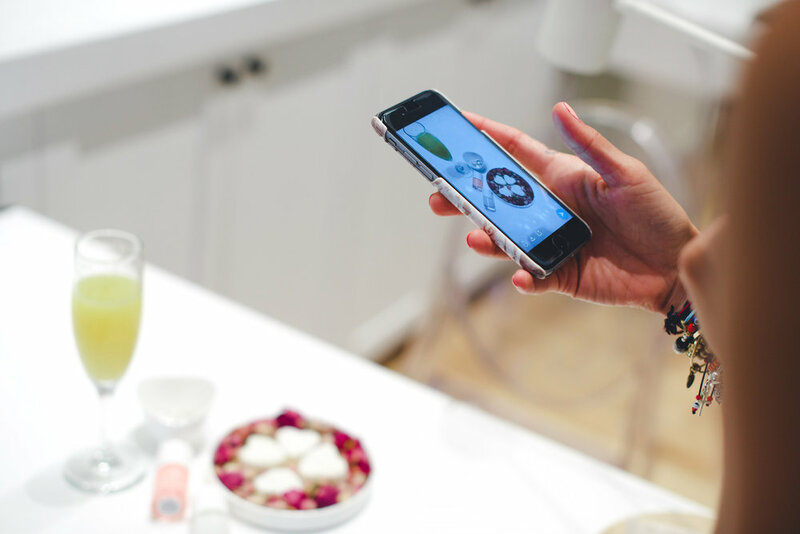 From inspiring guest speakers, to a veggie burger battle, to yoga and meditation, to dinners and cocktails with the best vegan Chefs, and so much more! The first time I attended this event was two years ago when I was a 5-month blogger newbie writing about a conscious lifestyle. Fast forward two years and a half and I'm now a speaker at this year's summit. Life will honestly surprise you in more ways than you can imagine! In a beautiful way, that is. Always! For all of those souls that have emailed me with questions about becoming a conscious blogger and living life in sustainable ways, you might want to attend this event. It's worth it! We'll be covering many topics you will want to be part of, and I will be focusing my side of the conversation on answering questions about conscious blogging and a planet-loving lifestyle (diet, fashion, travel!). I hope to see you babes there!! If you need help getting your tickets, let me know. My bio for SEED, click here. Time to come together. Let's help Haiti & Hurricane Matthew Victims. No matter where in this beautiful planet of ours you are right now, I’m sure you all have heard or seen the results of hurricane Matthew. Some of you might be even going online 24/7 to look for ways to help the victims (over 800 dead in Haiti and 80% of homes damaged… and counting) so I decided to focus today’s post on providing links and info I found while searching for volunteering opportunities. For those that wish to travel to Haiti to help, I haven’t been able to find anything online. I would like to go too! If you have information, please share the name of the nonprofits or links by commenting below. For everyone else who wishes to help but can’t make it over there, here are all the ways in which we can help. This is the third time that a natural disaster hits Haiti in 6 years. (2010 7.0-magnitude earthquake, 2012 Sandy, 2016 Matthew). They need our help more than ever! 1) DONATE ITEMS: Haiti is in urgent need of medical supplies, non-perishable food, toiletries, feminine hygiene products, blankets, aqua tabs for water purification, clothes, and construction items (such as: nails, sheet metal, and tools). There are several locations throughout the US gathering all the donations in shipping containers to be immediately shipped out to Haiti. Click on your location below for details. -New York (Brooklyn, Queens, Long Island): Call the consulate or click below to find exact locations provided by this NY Daily News article. Consulate: (212) 697-9767. -Florida (Orlando): donate items and volunteer preparing everything to be shipped out to Haiti. Monday through Friday. -Florida (Miami and everyone else): donate cash or volunteer at locations. 2) DONATE CASH: this Huffington Post article provides more than nine organizations that are raising funds to send medical aid and food to Haiti. There’s even one, Save The Children, that is creating “children play zones” in Haiti to protect and entertain kids amidst the chaos. 3) HELP ANIMALS: And last but not least, here’s an article with tips on how to help animals hurt by Hurricane Matthew, and below another link to ASPCA’s fundraiser page for the animals they are rescuing from the affected areas. This is all I have for now, guys. If I find more nonprofits or ways in which we can all help, I'll update this post and let you know. Please comment or email me with info you wish to share with the world. It's time for us to come together and create a massive wave of healing and positive change. So this happened. First LIVE TV interview ever but SO MUCH FUN! I blushed, I laughed, I talked nonstop, I didn't know which camera to look at, I talked in Spanglish, and I probably got off topic many times but I also shared what I know about following a conscious lifestyle and being a blogger. My experience, how to make a difference in the world with daily baby steps (from fashion purchases to a plant-based diet to my daily thoughts) and how chasing my dreams has opened new doors for me. What a beautiful experience guys! I hope you enjoy it as much as I did. The interview was broadcasted in my home country, Bolivia, which means it's in Spanish. Thus, this one is for all my Spanish-speaking soulmates out there! Let me know your thoughts. :) ps: wearing recycled plastic peep-toe booties by Melissa Shoes and a recycled paper necklace empowering women in Uganda by 31Bits. Primera vez que escribo en español por aquí. Creo que ya ameritaba siendo que, por más que vivo en Miami hace 10 años, soy Boliviana y llevo mis raíces muy marcadas adentro y ahora estoy en la cuidad que me vió crecer: Santa Cruz. Más hermoso que eso, hace dos días tuve la oportunidad de hablar sobre un estilo de vida consciente en el show de TV "Palabra de Mujer" de PAT en Bolivia. Desde los pasos chicos diarios que podemos tomar para proteger nuestra salud y medio ambiente hasta mi experiencia como bloggera. Cubrimos temas sobre la moda que ayuda al medio ambiente (ej. Plástico reciclado), una dieta vegana sana, viajes ecológicos y también como la práctica de yoga y una mente positiva nos mantienen sanos espiritualmente. Que orgullo ver como este movimiento consciente esta creciendo en mi país! Aquí se vienen muchos proyectos más! Espero que disfruten esta entrevista tanto como yo lo hice, incluyendo mi Spanglish!! Pd: para la entreviste usé botines de plástico reciclado de Melissa Shoes (tienda en Santa Cruz IC Norte) y un collar de papel reciclado que ayuda a mujeres en Africa por 31Bits. Plantbased Superfood Drinks On The Go! 1) REBBL focuses all its practices on promoting sustainability and social impact. 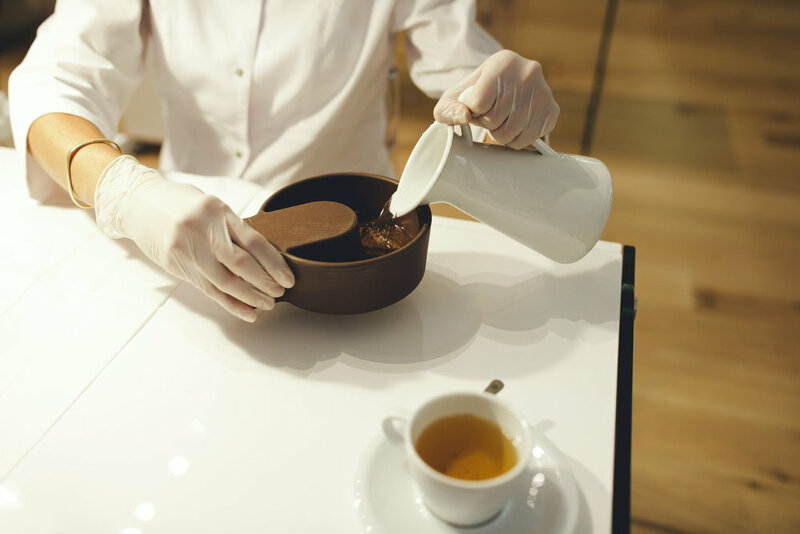 They source all ingredients ethically (and provide an interactive traceable sourcing map) making sure the suppliers have local communities in mind and provide them with health care, housing and clean water projects. 2) Every single one of REBBL’s products is Certified Organic. By refusing to work with GMOs and Pesticides, they are protecting not only our health but also Mother Nature. 3) REBBL donates 2.5% of its revenues to Not For Sale, an organization dedicated to putting an end to human exploitation and trafficking worldwide. With 6 different Elixir flavors, and 2 protein blends, REBBL has me head over heels! Literally! I’ve tried them all! And each one is as good, or better, as the last. The ones I carry with me while traveling are the protein blends: Dark Chocolate or Vanilla Spice. 16grs of protein made from peas, pumpkins and sunflowers! Imagine that purity combined with fair-trade certified cacao powder, reishi, ashwagandha, vanilla, stevia and more mouthwatering superfoods!! The 6 Elixirs are to die for too! Matcha Latte, Turmeric Golden Milk (YES! ), Maca Cold Brew (Double YES!! ), Maca Mocha, Reishi Chocolate, Ashwagandha Chai. I have to admit, there were a few superfoods I had never heard of but was incredibly happy to add to my diet. Ashwagandha was one of them. It is a powerful super-herb that is used in Ayurveda to support physical health, cognitive function, recovery and relaxation! GIVEAWAY: Eco-friendly Hotel & More!!! This giveaway has me beyond excited! The blog has been growing at a fast rate and I wanted to find a way to say THANK YOU and express my deep love for you guys. None of what I do would be possible without you! Therefore, I've partnered with one of the first eco-friendly hotels I reviewed for the blog to make a winner's wanderlust dreams come true!! What a better way to introduce you to the WTS conscious lifestyle than by giving you an opportunity to experience it yourself?! Don't you think? Laguna Lodge is the second hotel I reviewed for the blog 1.5 years ago and a place that changed my life forever. 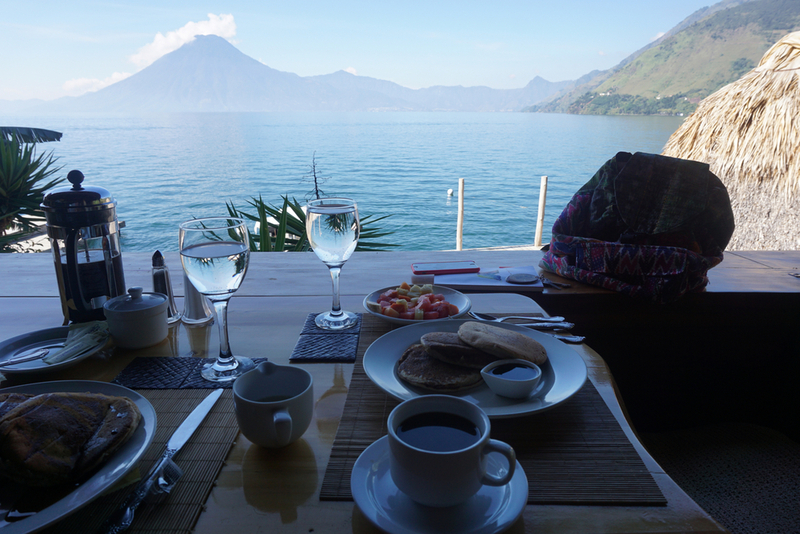 The hotel is located in front of Lake Atitlán (literally!) which means that you open your bedroom curtains every morning to a blue lake with huge white clouds mirrored on top of it. Behind the hotel, lays a 100-acre Nature Reserve entirely consumed by tall trees and a trail that takes you all the way up to the top to a hammock hanging under a tiny hut. This was my favorite place. From there you can see life! 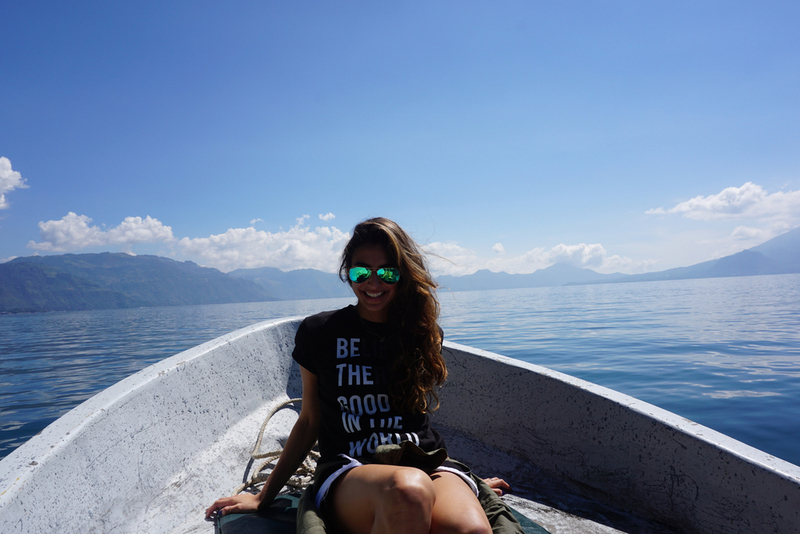 Green trees, the bluest of blue lakes, infinite mountains, and little boats floating on the lake. Laguna Lodge screams pure nature-loving magic, guys! Completely circled by it, running on solar energy, offering vegetarian and vegan options only, eco-friendly bath products, a holistic spa, yoga classes, and so much more! Click here to read the post I wrote about Laguna Lodge. Click here to watch my travel videos. -Breakfast every morning: vegan or vegetarian. You will flip once you see their menu! My favorites were the vegan pancakes and the scrambled tofu with arepas. **Please note that hotel giveaway is not valid on public holidays. That's it!!! Winner will be announced August 19th! 2) Handmade and fair-trade wrap around bracelet inspired in different ancient cultures worldwide by CarlaSpeck. 3) Recycled paper bracelet empowering women in Uganda by 31bits. 5) Handmade silver bracelet that helps empower women in struggling communities by giving them the chance to create businesses with the help of micro-loans, by OramaJewellry. 6) Handmade necklace made from recycled electronic parts by ScrapbyDworak. 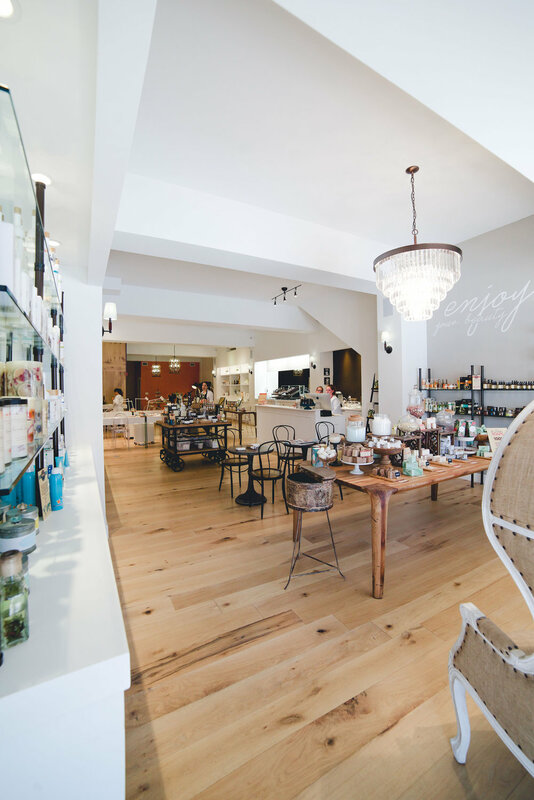 Organic, Natural & Cruelty-free Spa in MIAMI!!! Yes, you read right! 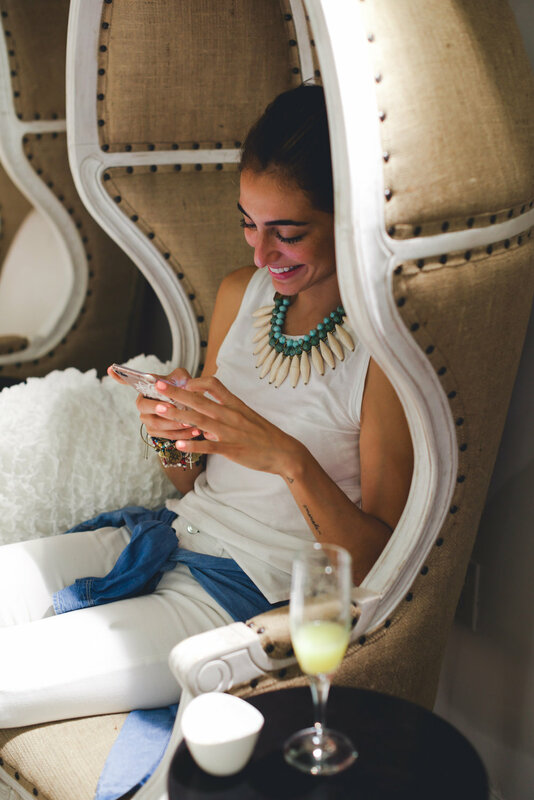 Ladies and gents, I'm incredibly happy to introduce you to a spa that is reshaping Miami's beauty industry! 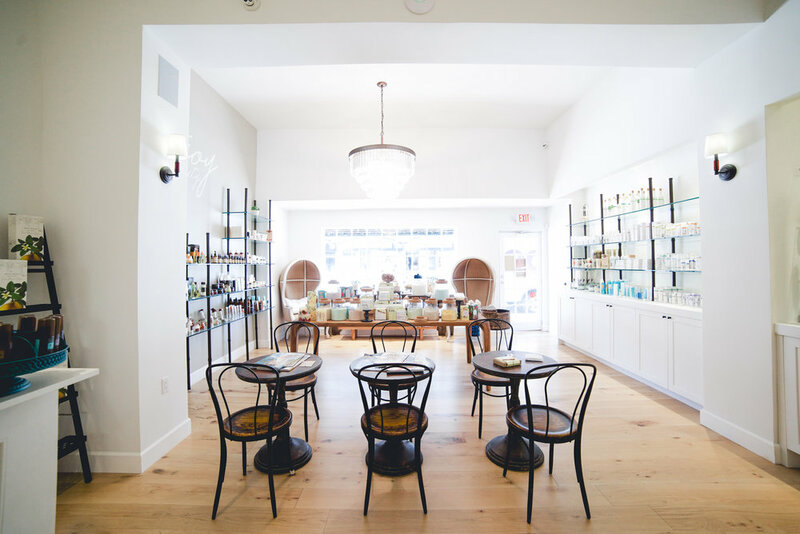 Organic facials, manis and pedis with natural and toxic free polishes, a coffee/tea bar with plant-based milk options, natural and cruelty-free beauty products, fresh mimosas and SO MUCH MORE! From the minute I walked in through those doors, to the cup of organic mint tea I was welcomed with, to the wooden floors, the white walls and natural light, and the water with floating lavender buds I soaked my toes in. Blissful Me-Time! This planet-friendly spa is honestly everything a conscious person has ever dreamed of! 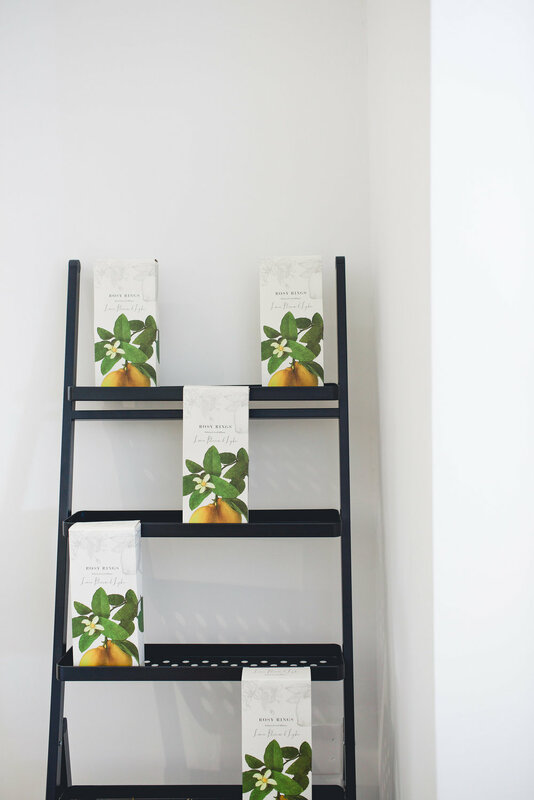 Founded by Noelia Olmedo, B-Livinn is a spa and beauty shop with the goal of showing its visitors that they can have that luxurious lifestyle while supporting products and treatments that are kind and healthy to their skins, bodies and our planet. To keep in sync with B-Livinn's mission, the spa offers facials, blow drys, hair treatments, kids services, and makeup, brow, hand and foot treatments with a wide variety of products all packaged with recyclable materials labeled as: vegan-friendly, cruelty-free (no animal testing), paraben free, eco-friendly, 5-free (non-toxic nail polish made without the 3 common chemicals found in nail polishes: Toluene, Dibutyl Phthalate/ DBP, Formaldehyde, but also without 2 other very dangerous ones: Formaldehyde Resin and Camphor), and with love! Last week I had the opportunity to get a mani, pedi and facial at B-Livinn and absolutely loved it. 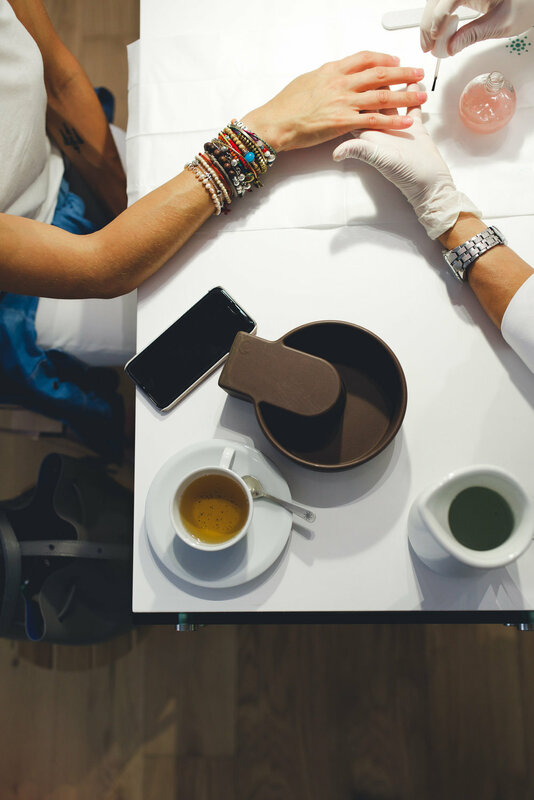 Not only did I feel I was getting pampered with products that were nurturing my body and skin, but the staff made me feel at home and relaxed every minute of every treatment. That to me is priceless, guys! 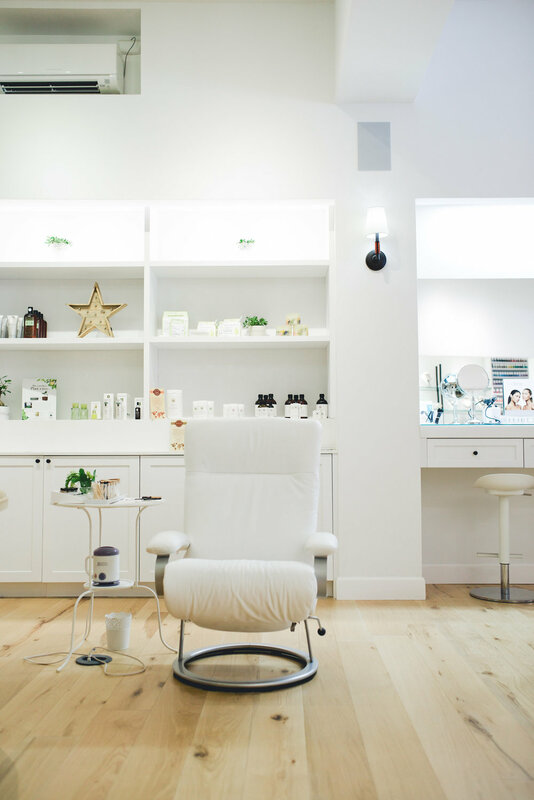 There's nothing like entering a zen-looking spa, taking a deep breath, smiling it all out, and trusting the faces that will pretty much own your body during every treatment. 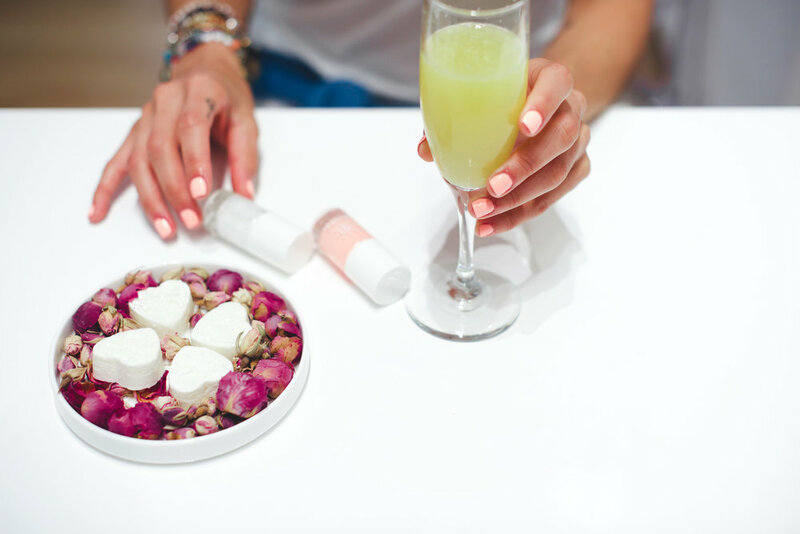 Peace of mind and organic pampering at its finest! I'm counting the seconds to go there again and can't wait for you guys to see the photos and fall in love with this spa as much as I did. Photos captured by Christine Michelle. Featured as "BEST LIFERS" by VEGA!! Wow you guys! Speechless once again! I was featured as one of VEGA's "Best Lifers" in June!! No words to describe how thankful I feel right now. VEGA is not only an amazing, delicious and nutritious plant-based protein brand but also the one I use every day! Thus, to be featured on the website of a well-known brand I love, is priceless!! As most of you know, I don't spend a penny on press. Every feature I've been included in has been purely by word of mouth, which makes my journey even more organic and beautiful! So thank you all for that!! Here's the link to the feature. I hope it makes you smile! Time to live our best lives, guys!! Not-your-ordinary Florida Roadtrip Video & Story are Up!! Should my dog go vegan too? It took a little longer than expected but, as promised, here's the video!! I hope you guys enjoy it as much as I did! 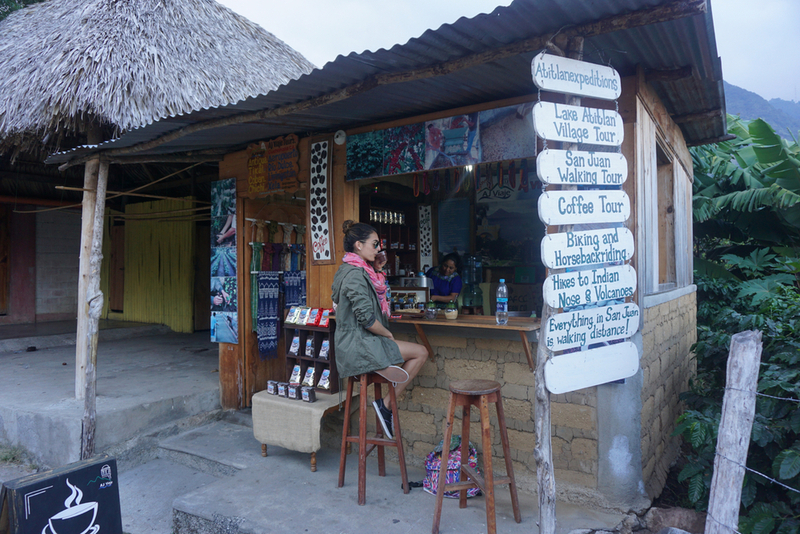 You can also read the entire story of my trip to Ecuador to review an astonishing eco-friendly hotel and document animal-freedom oriented activities by clicking here. In a world of copycats, be original. Be YOU! This post might come as a shock to you guys. I know I always try to focus my stories on words of positivism and encouragement but today I experienced something I never thought possible. That's the reason why I was so quiet on social media. I needed to think and process what was going on. And write. As much as I could. To let all my words and feelings out. Today, I experienced one of those reality checks everyone warns you about and you try not to pay too much attention to. Those advices you hear about not trusting people, about protecting yourself and your work, about not being too kind, too loving, too naive. You think they are just words until they become your lessons. You see, just like I can spend hours talking and writing about all the things in this world that make me smile and every little earthling on this planet we should protect, I also tend to make the mistake of believing everyone around me is genuinely kind, honest, real and unique. Sadly, that is not the truth. There will be people in your life that will find it easier to criticize you and talk behind your back while they copy every single step you take, instead of being themselves and finding their own voice and creativity. Yes, my blog has been plagiarized by someone who was very dear to me. Even though friends and family had warned me already, I chose to play blind until today that I read it with my own eyes. Even my bio was copied! Is that a lack of creativity or identity? Is there a difference? A part of me is devastated. I've spent countless hours and long nights of zero sleep in these past 2 years writing for you guys and then a "friend" decides to jump on my back in the sneakiest of ways to fly along and enjoy the ride?! Of course I'm hurt and frustrated and want to scream from the top of my lungs! I could scream so many nasty words at her right now but there's also a wiser and calmer part of mine that tells me to breathe. To relax. To know that I've been thankfully blessed with humans that believed in my blog so much, they've protected it legally. That screaming wont do any good. And that, if she lacks the creativity to write in her own words, that's her issue. You see, being original is everything guys! Copying has a short lifespam. The minute your "muse" stops writing and creating, you'll run out of things to replicate. You'll be lost. Without a voice. Without ideas. Being creative, transparent and yourself is key to your survival. That's your essence. That's your soul. So that's what I'll keep doing. I'll keep being very much ME and will use this lesson to become stronger and wiser. For me, my family (everything I fight for is for them), my dreams, and for you guys! Your constant support and words of encouragement keep me dreaming and aiming higher every day. I truly hope you find some inspiration in my story and that it pushes you to realize how wonderful and unique and magnificent it is to be YOU. Nobody can take that away from you. And PLEASE always remember that kindness is about MORE than claiming to be kind. It's the entire lifestyle. What you think, what you talk, how you act towards others, what you eat, breath, and inspire. Being kind is about much more than just a word. Morning, and everyday, natural rituals! Have you guys ever taken 5 minutes of your busy schedule to sit down and analyze what you are doing to your body? How you're nurturing it? How you're feeding your cells? Or even how you're slowly poisoning them? As you guys might've seen on snapchat, I attended a documentary screening at Dr Smood in Miami last night. This was yet another reminder of the importance of a natural, organic and at least 51% raw diet in our lives. And above all, about performing our research. Food can seriously be our medicine or slowest form of suicide! And this applies to a vegan or vegetarian diet as well! I know a lot of people who went vegan and thought they could survive just on eating pasta and bread and processed vegan junk food (yes, we have that too!) but later found themselves borderline heart-attack in their late 20s and 30s. Going vegetarian and later vegan was a decision I made years ago based on my values and compassion but has now transformed into the best decision I could've made for my health. I've stopped consuming toxic pills and have even been able to balance my Thyroid disease with my diet choices and overloads of superfoods. I honestly can't remember when was the last time I had a headache or took a pill for it! Superfoods like Turmeric, hemp oil, diatomaceous earth, Moringa and many others have become rulers of my kingdom now. BUT, I wouldn't have been able to achieve any of this if I hadn't read as many books as I could and watched as many documentaries out there on how to eat healthy and feed my body with the right nutrients, vitamins and protein from plants! I also changed my entire lifestyle. From the products I put on my skin, to the clothes I use and brands I choose to support. Everything is connected guys! It's a way of living! A conscious way of living! And, to make it easier for you, I've added a search box on the blog at the bottom of the home page where if you type "documentaries" or "natural beauty" or whatever it is your looking for, you'll find articles I've written with helpful tips and summaries on how to live your best life! Are you ready to make the change? The most amazing part about life is that everyday is our new change to start living better, wiser and healthier, and we've been blessed with bodies that have the power of gettting rid of all our toxins if we provide them with the right nutrition. Happy Reality-Check World Oceans Day! Did you guys know the oceans contain 99% of the living space in the planet and over 200,000 identified species? Or that they absorb about 30% of carbon dioxide produced by us reducing the impacts of global warming? Yeah, neither did I. Besides my love and admiration of nature, I also keep learning new things every day. I try to research as much as I can, especially when it comes the impact of our steps on this planet. From brands that are natural, ocean-safe, and cruelty-free, to products that are sustainable, to hotels that are eco-friendly. There's honestly so much we can do and learn from each other during this chosen conscious journey. All we have to do is spend less time analyzing the meaning of life, and more time recognizing it when it stands right before us. Like the ocean. It beholds the secret to life and instead of protecting it, we are poisoning it with products we buy out of habit with zero clue that they may end up in our waters. Plastic bottles, plastic bags, plastic straws, plastic caps. Plastic! It's been said that enough plastic has been thrown away by us to circle the earth 4 times!!! That is plastic that takes up to 1000 years to degrade! And plastic that ends up floating in our oceans and killing thousands of species per year. Plastic bags, facial scrubs (YES! Those micro-beads are non-biodegradable! ), shoes, plastic bottles and dishes, etc. Our trash is the leading cause of "44 percent of all seabird species, 22 percent of cetaceans, all sea turtle species and a growing list of fish species" being documented with plastic in or around their bodies. Luckily, like everything in life, there's a solution. We CAN put a stop to this and it all starts with our daily actions. Nope, you don't need to be a millionaire to make a difference in our world! Together, with baby steps, we can help heal and preserve our planet for our future generations. With that being said, here are some suggestions for you guys. I apply them to my day-to-day and they are easier than they seem. Trust me! Happy #WorldsOceanDay! 1) Ditch the plastic bottles and cups! I know it's hard. Specially when you're on the run. I've reduced my consumption of plastic bottles and cups significantly by taking my glass water bottle or flask with me everywhere. 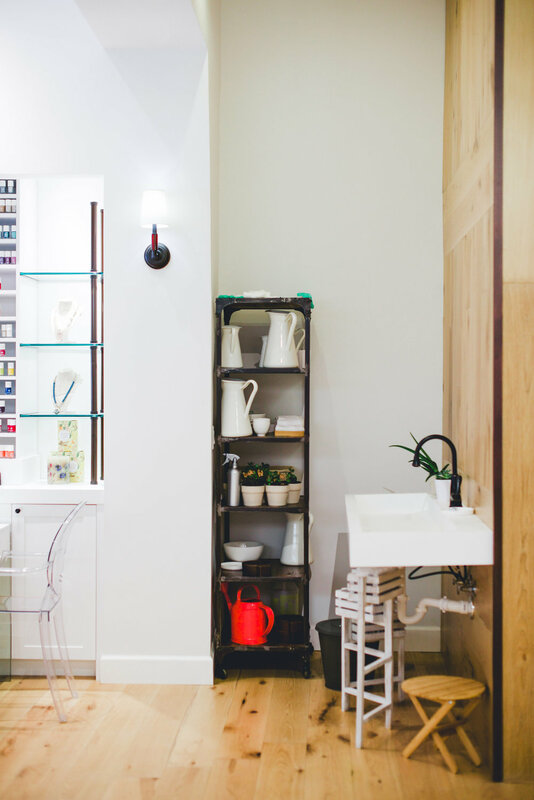 Here are two eco-friendly options that will make your life so much easier. 2) Say no to plastic straws. This is a huge issue, guys! I've seen heartbreaking videos of rescuers taking plastic straws out of the nose of sea turtles! Please order paper straws or no straw at all whenever you get a drink. A friend of mine started a movement in Ecuador called #sinsorbeteporfavor (no straw please). Let's start something like that everywhere. What do you say? 4) Recycle! Take your own bags when you go shopping and say no to plastic bags. 500 billion plastic bags are used annually worldwide. Time to put a stop to that! 5) Don't throw away things from your closet. They will end up in landfills. Donate them to people in need or give them a fashion makeover and keep using them. I've done that with most of my jeans (I have jeans from 6 years ago! ), tees and even shoes! Grab some scissors, eco paint and go crazy! 6) Buy consciously! Choose brands that have nature and the community in mind. Brands that are using materials no one ever thought possible and are going beyond their ways to make a powerful statement. Brands that come up with products such as recycled plastic shoes or bags made from recycled plastic bottles or cork yoga mats. They exist! Here are some of the ones I adore, but you can also find more under the "Green Blog" tab or under "Kind Fashion". Melissa Shoes: beautiful and comfortable shoes made from recycled plastic. Company also reuses 99% of waste and unsold shoes from previous collections. Yoloha Yoga: yoga mats made from cork, which is a renewable source. No plastic! G-star Raw: jeans and clothing made from recycled plastic taken out of the oceans. LOVE this brand so much!! 7) Reduce your consumption of seafood. If you're not vegan yet, try to reduce it to 1-2 per week and see how you feel. That's how I started. It's hard, because most of us were probably raised eating meat and seafood on a daily basis, but it's worth it. By reducing our seafood consumption, we reduce the by-catch (whales, dolphins, seals and other animals that get caught in fish nets by mistake and are killed in the process) and the chance of depleting and killing our oceans. 8) Say no to aquariums and zoos and support animal-freedom activities when you travel. Go snorkeling in the ocean and interact with Nemo. Those memories are priceless! Read about my adventures with the wild here. 9) Keep your home eco-friendly. Click here to read the tips I recommend. 10) Spread the word!! Let's inspire each other and create a massive wave of awareness.